Like all great cities, Havana has a rich history that informs the vibrant place it is today--from the native Taino to Columbus's landing, from Cuba's status as a U.S. protectorate to Batista's dictatorship and Castro's revolution, from Soviet presence to the welcoming of capitalist tourism. Havana is a place of extremes: a beautifully restored colonial city whose cobblestone streets pass through areas that have not been painted or repaired since long before the revolution. 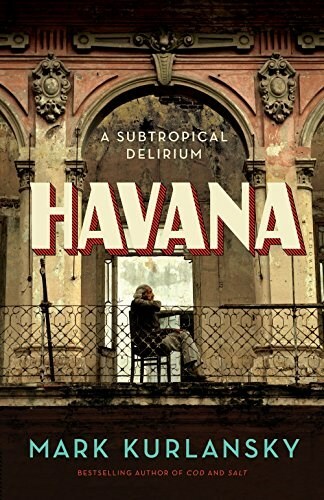 Kurlansky shows Havana through the eyes of Cuban writers, such as Alejo Carpentier and José Martí, and foreigners, including Graham Greene and Hemingway. He introduces us to Cuban baseball and its highly opinionated fans; the city's music scene, alive with the rhythm of Son; its culinary legacy. Through Mark Kurlansky's multilayered and electrifying portrait, the long-elusive city of Havana comes stirringly to life.